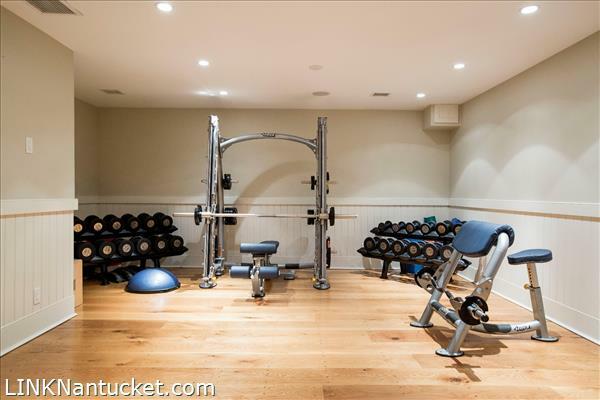 Over 2000 square feet of finished space with an eye towards fun and wellness. 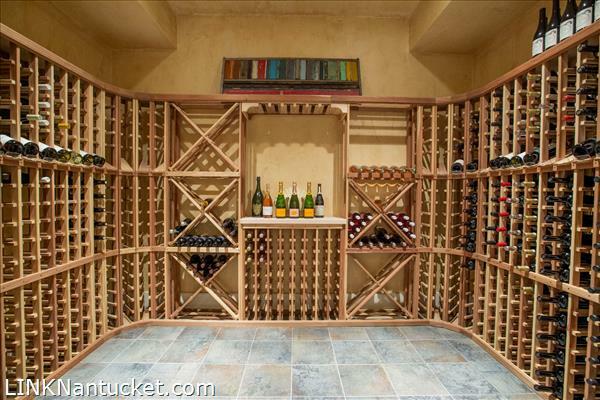 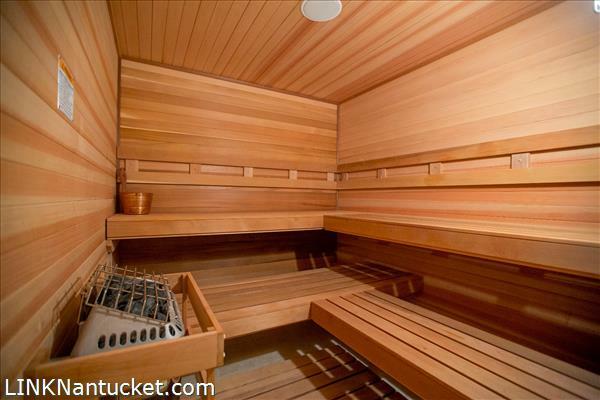 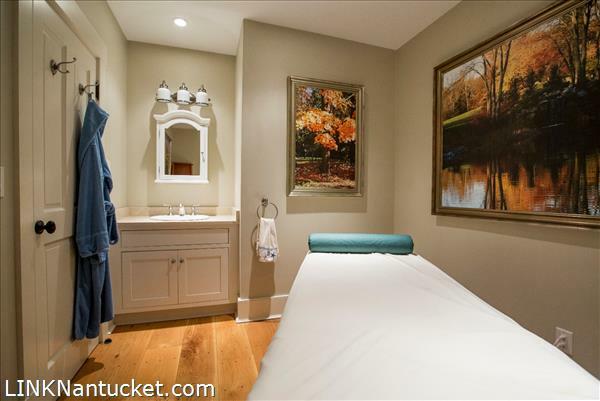 Amenities include a wine cellar, workout room, wet bar, theater, massage room, full bath, and music room with a recording studio. 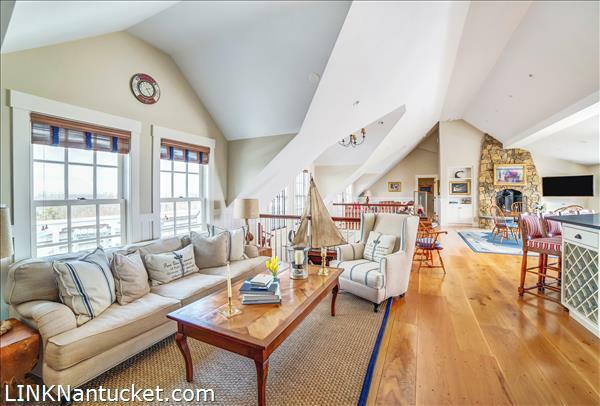 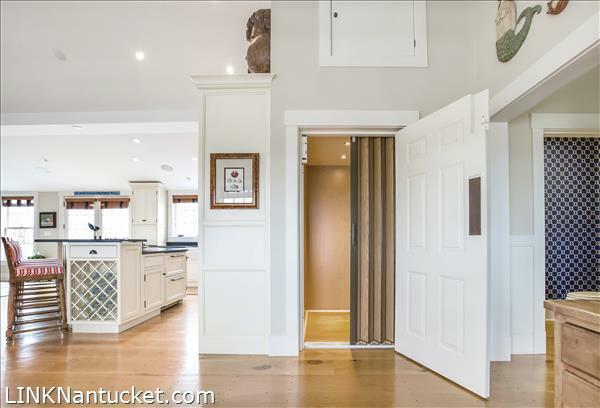 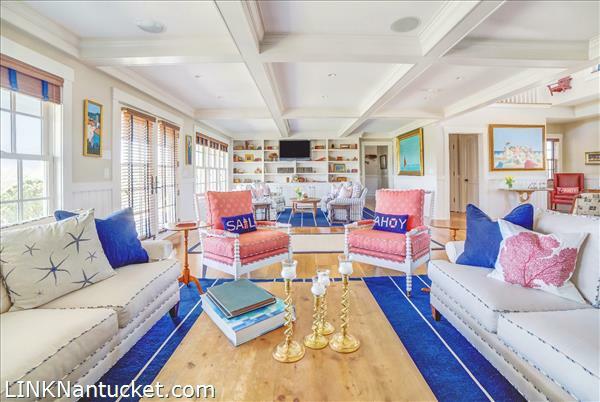 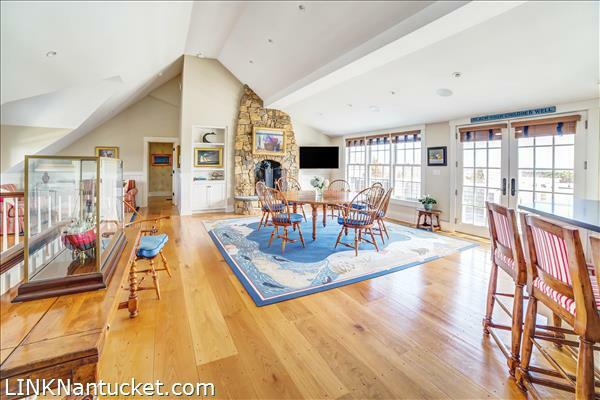 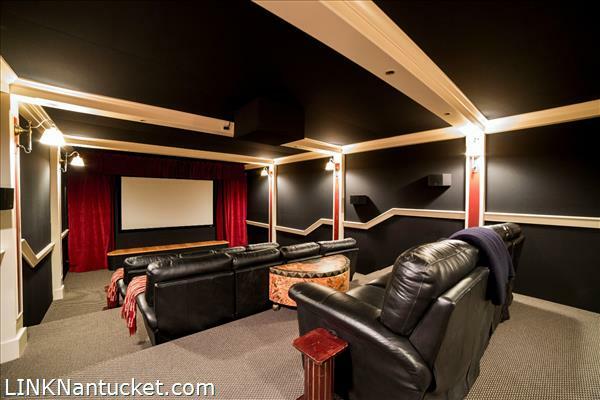 Step over the custom inlaid Nantucket map and into a large living area with a fireplace, custom built-ins and access to ample decks, patios, pool and hot tub. 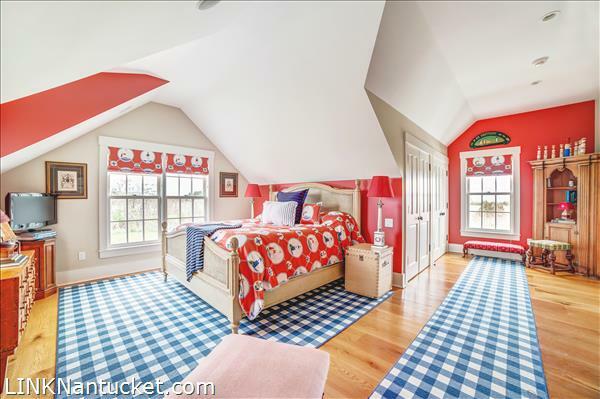 You'll find a first-floor master bedroom with en-suite bath and fireplace. 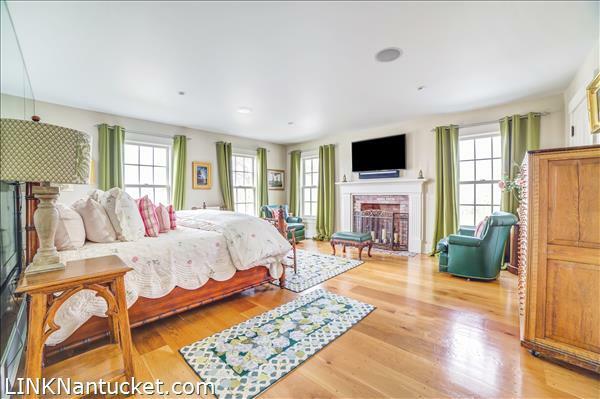 Guests will enjoy three more en-suite bedrooms and a laundry room. 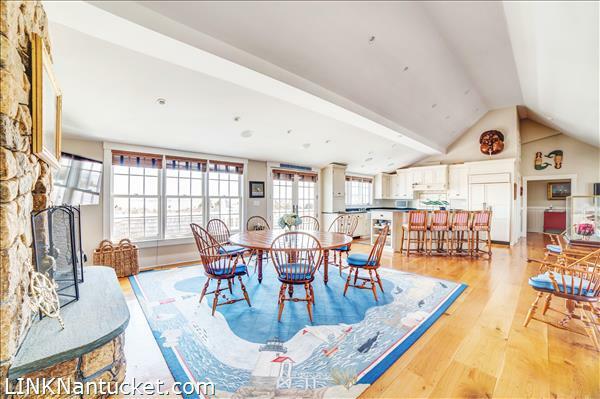 Vaulted ceilings open to a chef's kitchen and dining area with additional nooks for reading and entertaining. 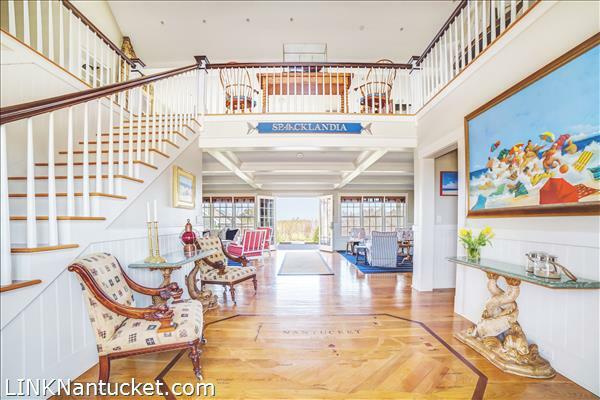 Oversized second story decks on the front and back offer sweeping views of the Harbor, Creeks, Coatue, and Wauwinet. 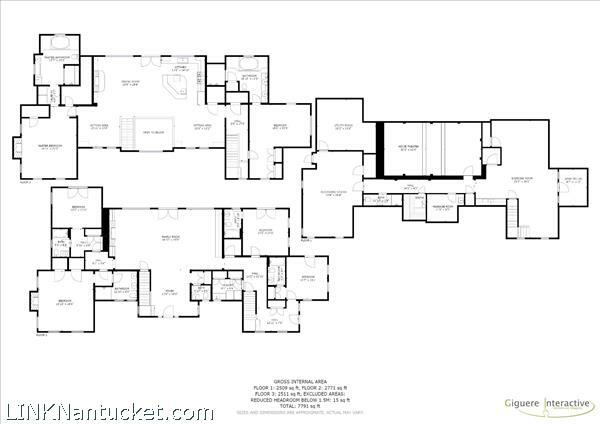 Two master bedrooms have en-suite baths with showers and jetted tubs. 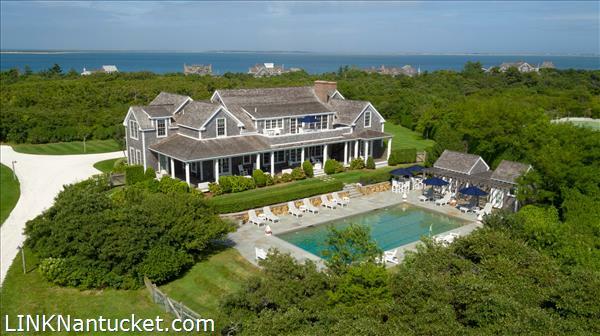 Two existing pool cabanas plus approved plans for a 2 car garage with attached 2 bedroom cottage.